Yasmin! You are a Star. 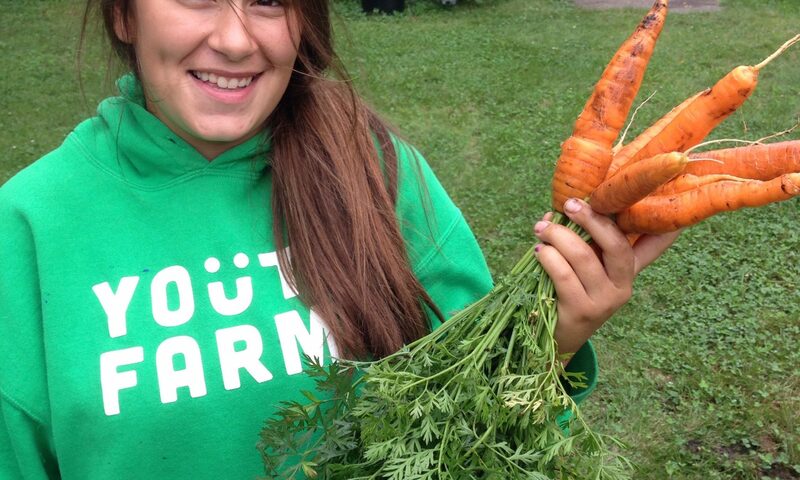 Being a LEAD at Youth Farm is a big responsibility. You are charged with modeling community, farm skills, and empathy to young people who are molding their values and developing their interests. Even though Yasmin was young herself at fourteen beginning as LEAD who also had skills to learn, has been such a star. 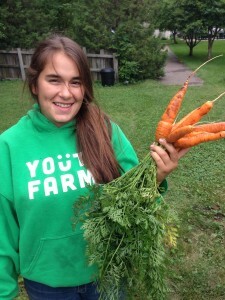 Yasmin explored beyond the hours of Youth Farm how to involve the Lyndale community in the power of relationships and cultivating food. She even help lead the community garden on her block where she assisted youth too young for Youth Farm in learning techniques of growing food, skills in social development, and delegation to work cooperatively. Yasmin and I worked closely in the CHT garden over the last three summers where you could see her love for organizing and youth leadership explode. Her leadership as a LEAD, time she’s dedicated to the youth, and community speaks to the amazing young woman she is. Congratulations on your academic milestone and keep propelling towards greatness. Great job, Yasmin. What an inspiring story! How wonderful that you got the young kids involved. I spent many hours at the Charles Horn Terrace garden building the garden beds with youth farmers and it is gratifying to know that you are continuing this work. The CHT garden was our second. The first was across the street at 3112 Pillsbury Ave S. There was a house there that we worked with the Lyndale Neighborhood Association to tear down. I remember when they filled up the dug up foundation with soil, they planted grass seed. We battled the grass for years. I remember Josue, Marcus, Gwen, Andy, Dewayne, Ramnarine Hanoman, a senior from Guyana who helped us clear the land with his machete and many others.